EFFICEN rebound at support level? 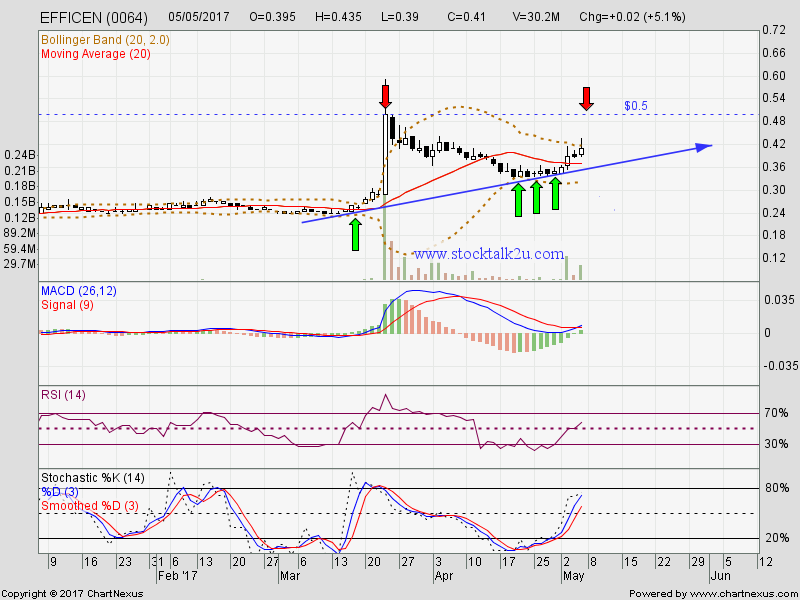 Will it retest RM0.50 resistance level? Immediate resistance @ RM0.50 level. Subsequent resistance @ RM0.59 level. Immediate support @ RM0.33 level. Subsequent suport @ RM0.30 level. 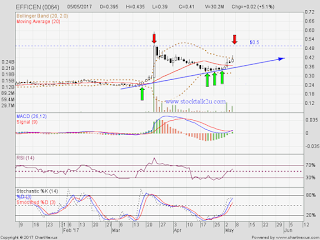 If able breakout RM0.50 resistance level, higher high is confirm.